After hooking up for a few days every January for the last few years I finally managed to take part in a whole splitboard week. The timing was just right – the week after winter deadlines – just when you want a holiday and opportunity to relax and clear your mind. I was a little worried about my fitness in the run up to this as the combination of winter festivities followed by trade shows and a busy selling period make it hard to get into great shape. I have been getting on a turbo trainer a bit though. 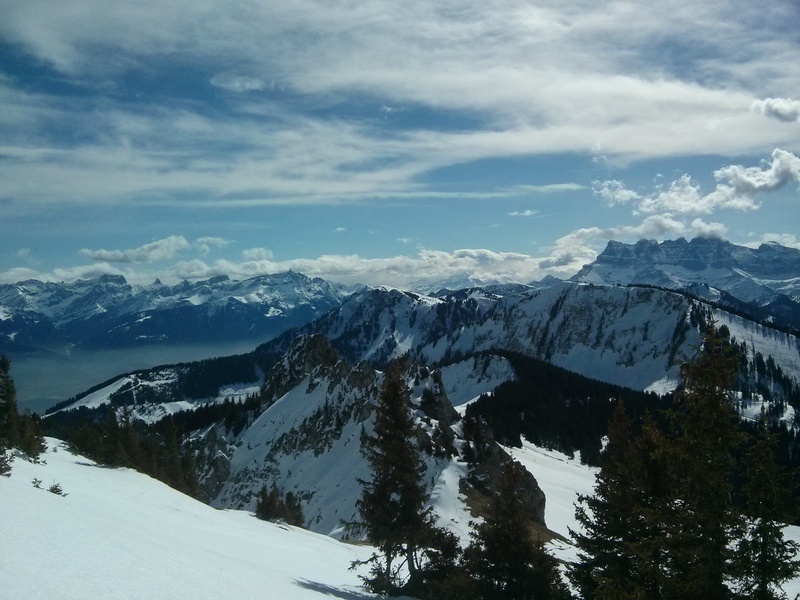 Having spent some time recently at altitude and on a snowboard was a great help. The first day on the hill was good to get used to the heavier board set up and heavier backpack. The alps had warmed up a lot too. All good though and it was enjoyable getting out riding again. A little refresher on avalanche training, some nice spring snow, a little hike and all in all a great first day. Monday we rode solid boards and explored some new areas in the PDS I have not seen before. A bit of bootpacking to access some fun bits. A bit of bushwhacking where the snow has disappeared but we found some good sections. I got to try a set of NOW bindings which were very impressive – really responsive. Tuesday being St Patricks we headed out for a couple beers and that went as well as it always does. Wednesday was day off – so after a very slow start, and thanks to a pick up from Rich we went for something completely different – a day of park and pipe and cruising pistes. A nice change – certainly not my forte but fun eitherway. Nice to meet up with friends living in the PDS area. Not the “rest” we maybe should have had. Thursday was a big day. We started riding round Chatel waiting for the snow to soften a bit and did some technical bits (horrible icey traverse) and a little bootpacking (see below). 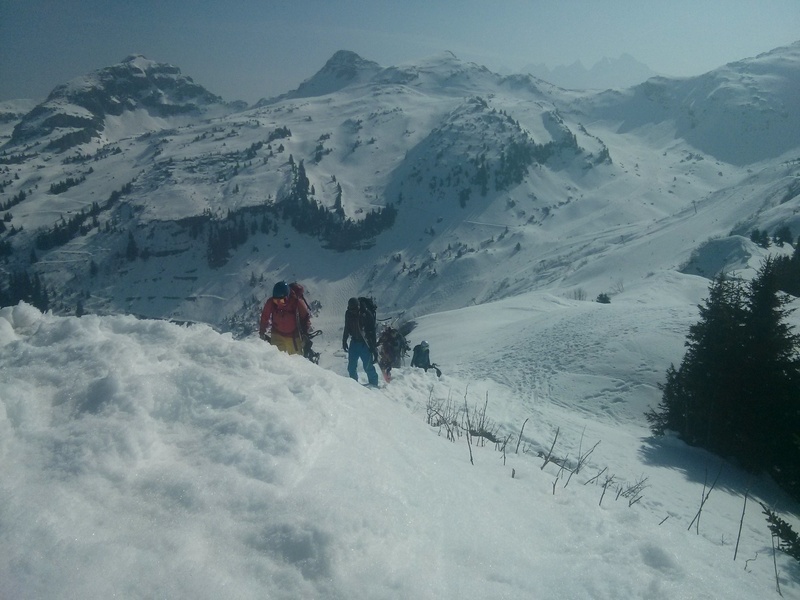 In the afternoon our high mountain guide Paulo guided us down the back of Avoriaz to the Lac de Mines d’Or. The last section was pretty technical riding with narrow tracks of snow often with not enough room to scrub speed. Pretty fun to navigate. After a lunch stop we started splitting. The pace set by the guide seemed painfully slow to start but actually it worked out really well and allowed us to walk for hours without feeling too tired. My lack of skiing ability was very obvious whenever we had to go down little slopes as we navigated the final section to the Refuge de Bostan where we stayed overnight. The guardian of the refuge prepared fondue which tasted amazing (maybe due to how hungry I was) and as I had hoped served up some local digestifs afterwards. I set the gopro up for a little sunset timelapse from the balcony. 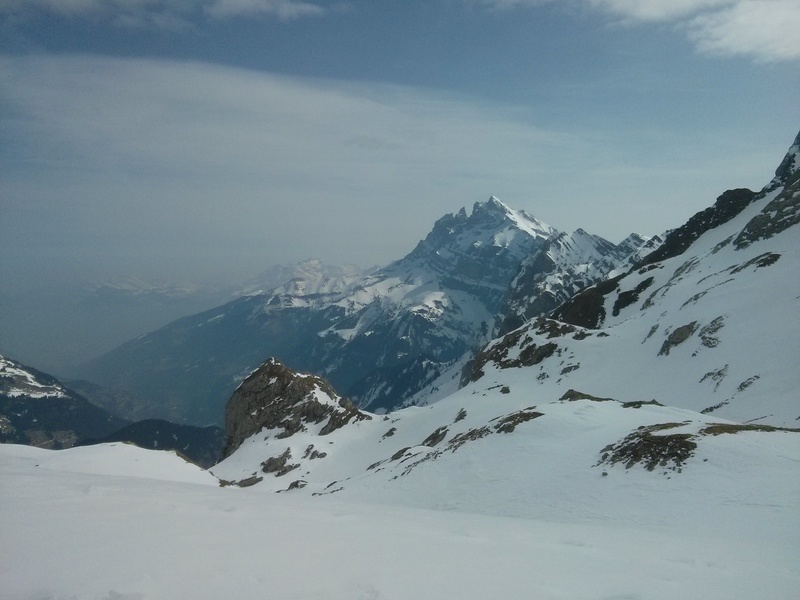 We chose to wait on the summit and enjoy the view whilst the snow softened. Then we had to navigate the descent which had a mixture of nice spring snow and much more technical sections. Lunch never tasted so good after that. Fun times – can’t wait to do more! Thanks for Paul and Fi at The Rider Social for making it happen. If you are looking to give splitboarding a go give them a call! Next Snow season is over!